I like to peruse Intermix every now and then, and while the prices are a bit très cher (as they say in France), I always find so many things to covet. 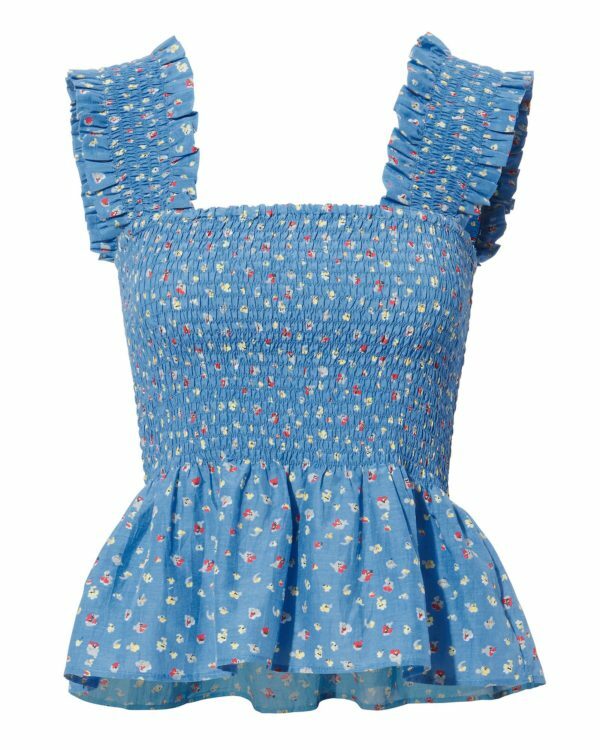 Yes this smocked tank is $145, so not quite enough pennies in my bank to splurge on it at the moment, but it’s just so sweet and summery. To know me is to know my love of water, specifically sparkling water. I consume it by the gallons. My ultimate weakness is sugary sweet drinks, so once I discovered flavored sparkling water with no sugar, I was hooked. It’s the perfect way to curb my sugar drink habit but also give me that flavor and fizz, two main things I look for in sparkling water. 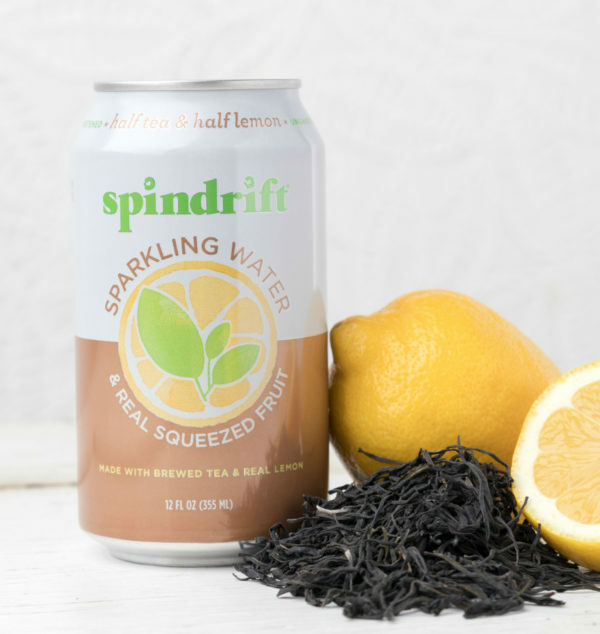 I’ve been drinking Spindrift for a while now, but they just came out with a new half tea/half lemon flavor, which is one of my all-time favorite flavor combos, so I was quite excited. This is my new jam. I was sent two sample cans and blazed through them in record time. 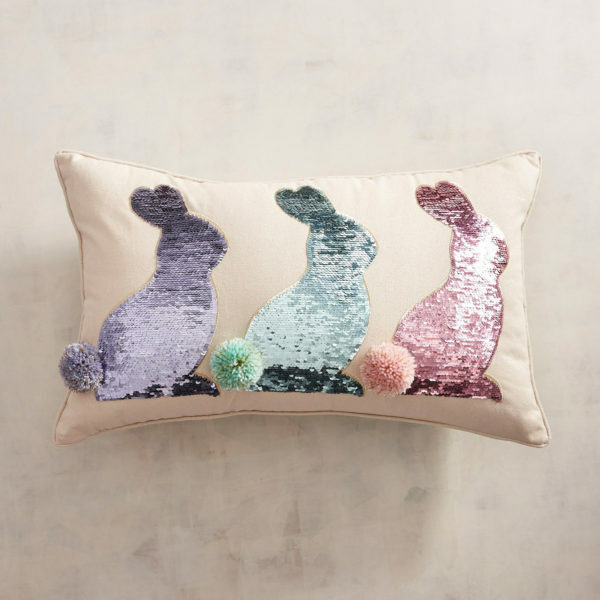 I’ve never really been into “Easter home decor,” but this sequined bunnies “mermaid” pillow is just too dang cute. It’s called a mermaid pillow because as you swipe over the sequins they magically turn from rose gold to pastel pink, purple and blue. There’s something so soothing about swiping over sequins; it’s basically the cutest anti-stress pillow that there ever was. 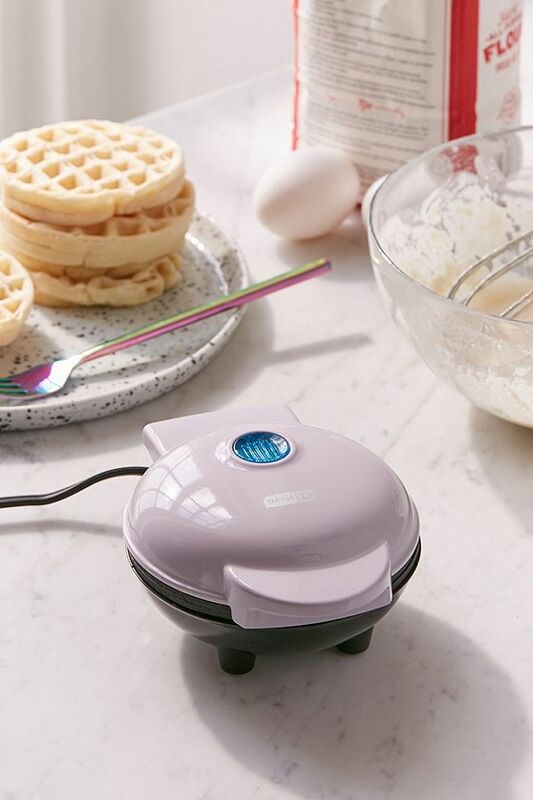 Not sure if there is anything greater than a fun-sized waffle. 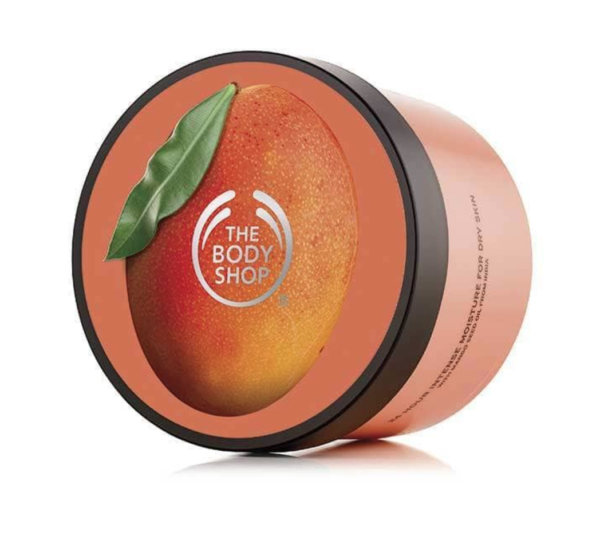 I coveted mango body butter from The Body Shop in middle school, dreaming of a day when I’d be a grown-up who could afford such a luxe moisturizer that smelled like freshly sliced mangoes. 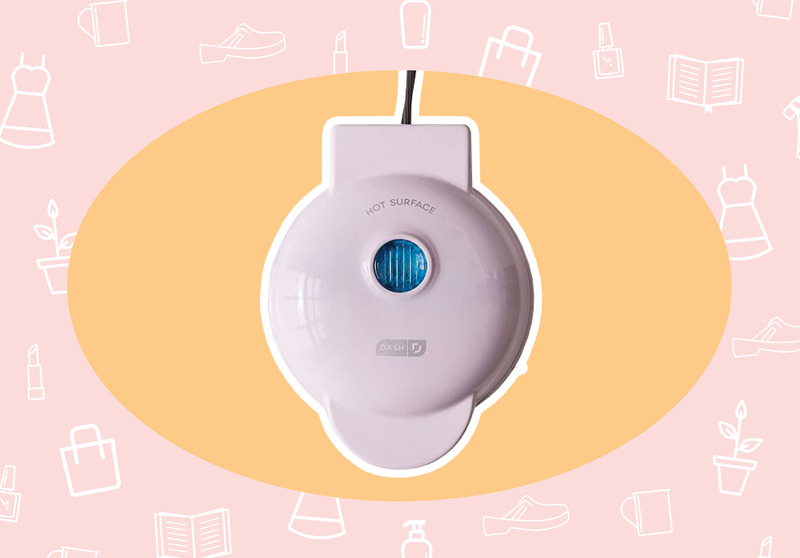 Now that I’m an adult with a job, I can buy all the mango body butter that I want and slather it all over my arms and legs every five minutes if I wanted. But seriously, this is the best lotion and the best scent, and it will always remind me of what I hoped and dreamed for myself as a tween. 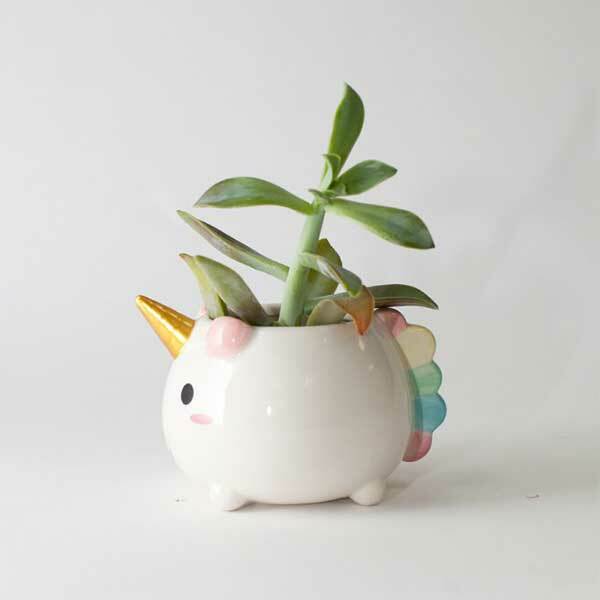 If you’re a person who can’t keep a plant alive to save your life, maybe you just need a cute unicorn planter.